Student perspectives and experiences have been mainly overlooked in the current research literature regarding technological tool use, managed learning environment design and their application in bilingual educational settings in Australian high schools. The overall information found is pedagogy driven, focused on best practice and relating to efficient language acquisition. This qualitative study is attempting to fill this gap by contributing valuable insight into student perceptions negotiating a content and language integrated learning (CLIL) environment, the mastery of different speech genres, and learning in a new learning management system (LMS). Data were collected from 22 Year 9 students (aged 13 and 14 year) covering 18 biology lessons during 6 weeks, over two consecutive years. The students’ interactions were audio and video recorded to gain a deeper understanding on students’ opinions and experiences working in a CLIL LMS. Additionally a focus group interview was conducted to clarify student understanding on self-regulation and scientific open inquiry strategies, learning in a bilingual context, as well as using digital tools in a LMS. 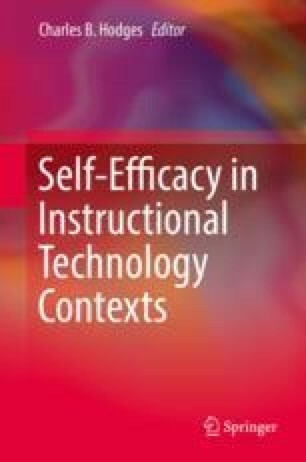 The discourse analysis based on theories of student voice, dialogism and heterology, CLIL communication, self-efficacy, self-theory, and self-regulation revealed firstly that Year 9 student self-efficacy beliefs and self-regulatory practices developed primarily through the exposure to a bilingual classroom setting. Secondly it is highly plausible that students benefit from the exposure to a bilingual setting, as it is affording students more possibilities to explore self-efficacy beliefs leading to the uptake of self-regulation strategies and therefore improved learning opportunities. Consequently, the results of this study might have interesting implications for the future customization of managed learning spaces for high school students not only applicable to a CLIL environment but also to a wider range of subject areas. The author wishes to thank Dr. Simone Smala (The University of Queensland), Dr. Chris Campbell (Griffiths University, Brisbane), and Dr. Tony Wright (The University of Queensland) for their ongoing support.